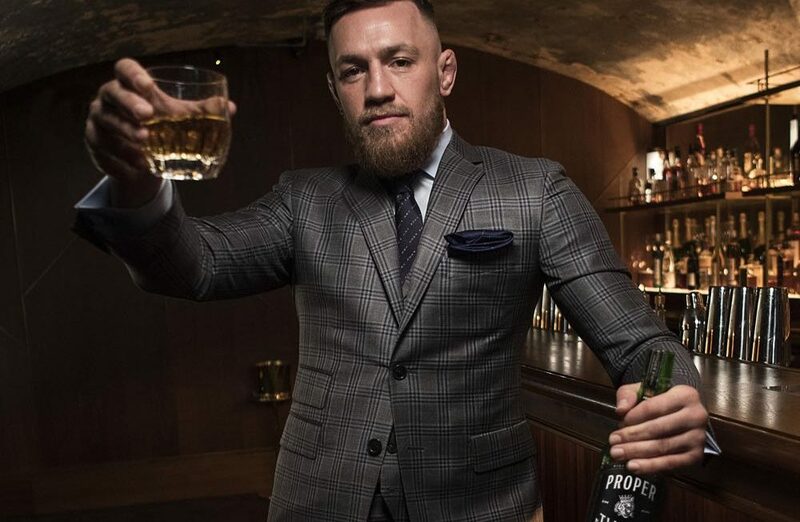 Conor McGregor has made good on a promise to release his own brand of whiskey with 'Proper No. Twelve' hitting stores in the very near future. Conor McGregor has made good on a promise to release his own brand of whiskey with ‘Proper No. Twelve’ hitting stores in the very near future. Last year when McGregor had just finished up his boxing match against Floyd Mayweather, he toasted the assembled media at the post fight press conference while revealing plans to launch his own signature whiskey. Now that day has arrived with McGregor as the primary owner behind ‘Proper No. Twelve’, which will be sold in Ireland and the United States at launch. “I come from a suburb called Crumlin, in Dublin 12,” McGregor said about his new whiskey. “It’s a place dear to my heart. It’s where I learned how to fight; it made me who I am today. It’s a place I’m still very much a part of every single day of my life. So, that’s where the name came from. It’s proper Irish whiskey and twelve is my hometown. The triple distilled whiskey that’s being made in Ireland was originally going to bear the name ‘Notorious’ but ultimately McGregor opted for something that hit a little closer to home where he grew up in Dublin. McGregor is also trying to do some good with the launch of his signature whiskey with $5 from every case sold — up to $1 million annually — that will go to local first responders. The timing of the release is obviously close to McGregor’s return to the UFC on Oct. 6 when he faces lightweight champion Khabib Nurmagomedov in what should be the biggest mixed martial arts event of the year. McGregor has spent his entire training camp in Ireland in preparation for the showdown with Nurmagomedov but he’s expected to finish up preparations in the United States after he arrives in New York later this week for the UFC 229 pre-fight press conference.